An "exemplary, 100 per cent concrete, ultra high level" source claims that Nintendo, Microsoft, and Sony will be revealing new consoles this year. 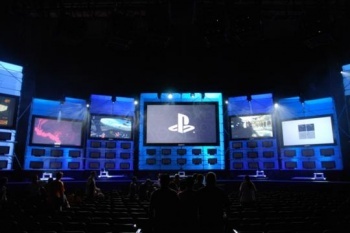 According to UK-based tech trade site, MCV, Sony is set to reveal a follow up to the PlayStation 3 at the next Electronic Entertainment Expo in June of this year. As with all rumor-reporters, the site refuses to say exactly who has brought them this choice information, but promises that it comes from the most reputable of sources. "Obviously we can't reveal our sources," tweeted Ben Parfitt, an MCV writer. "But you have my personal word on this - the source is exemplary, 100 per cent concrete, ultra high level." Later, he added: "Really, really wish I could name him/her/them/it but obviously cannot." The report also claims that the next Xbox will be showcased as well, making it more likely that MCV's source is E3-based (if real) than from within Sony. If true, then this year's E3 will be the first time in the expo's seventeen-year history that three major, rivaling consoles will be shown simultaneously. Originally, Sony had announced on numerous occasions that it would be keeping PlayStation 3 for a ten-year lifespan. Somewhat recently, however, it also told Eurogamer that it would be "undesirable" to launch the PS4 much later than the competition. So, with the Wii U already confirmed, and the next Xbox all-but confirmed, perhaps it wouldn't be a major stretch to believe that, at the very least, this is a possibility.